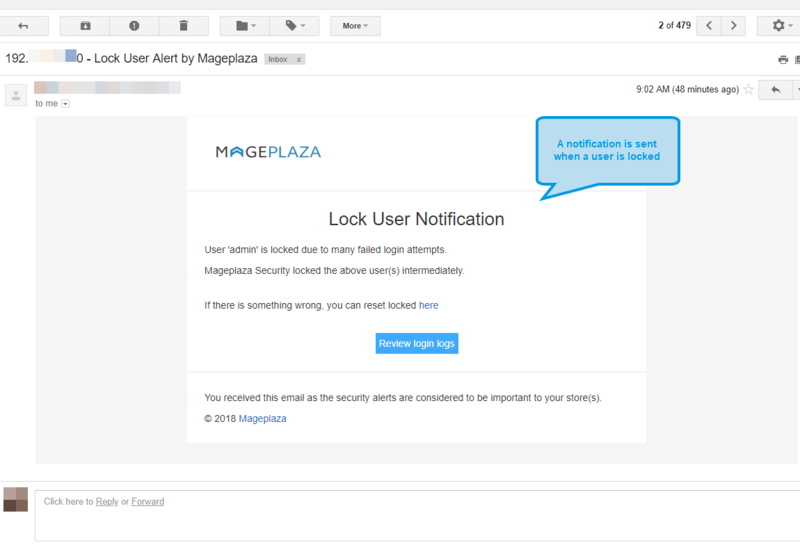 Mageplaza Security extension provides store admins a security checklist which automatically displays all warnings of possible security risks about admin username, captcha, Magento version and database prefix. Admins are allowed to set a limit for the number of failed login attempts. This restriction will become a fundamental for the module to send shop owners a warning message whenever the store encounters risks of break-in attempts. 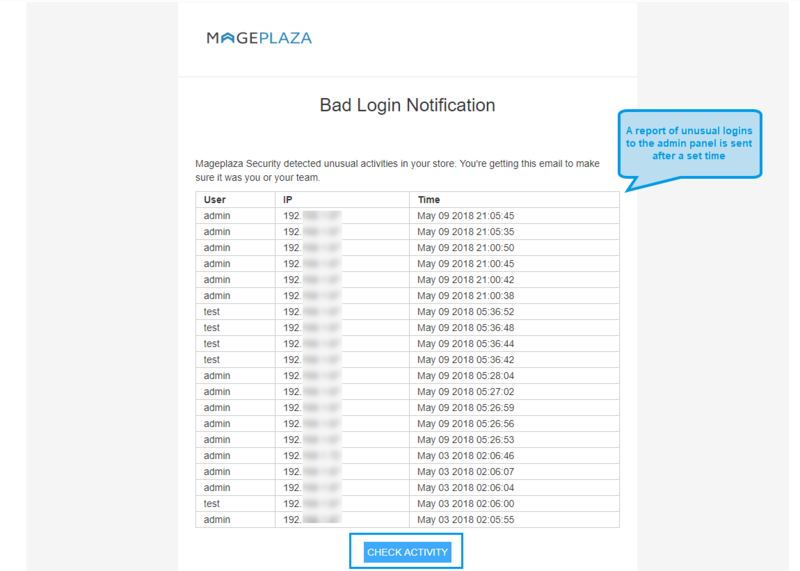 Mageplaza Security extension tracks and records all logins in a log along with its information like ID, Time, User name, IP, Browser Agent, Url and Status (Failure or Success). Store admins can view the details and trace the IP. 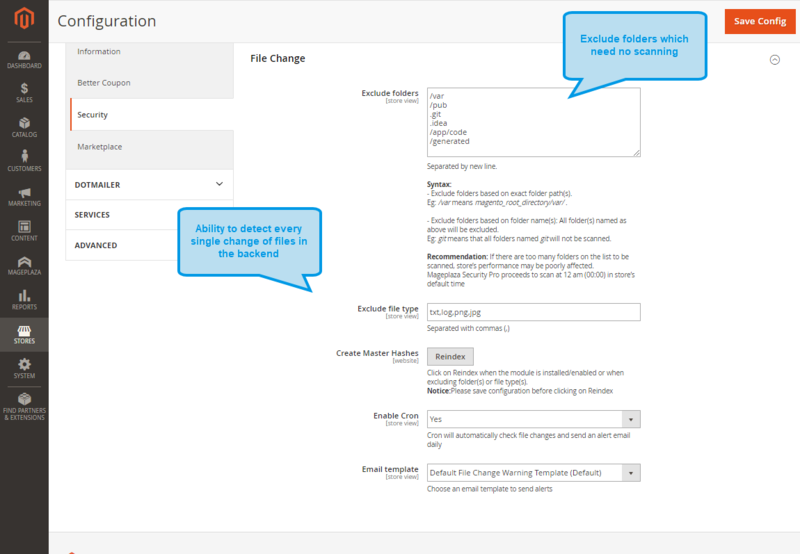 Important files in the admin panel should not be changed without any awareness. 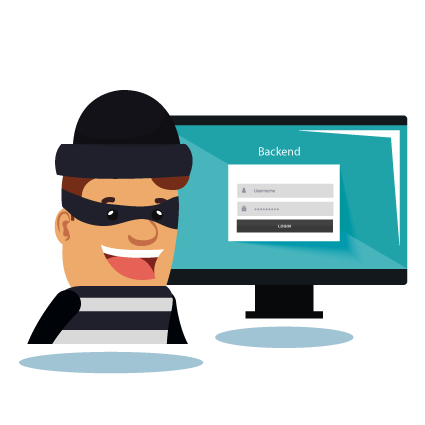 Unwanted adjustments in the backend made by hackers are harmful to online stores. Hence, a tracking and warning system will definitely provide better protection for your business. 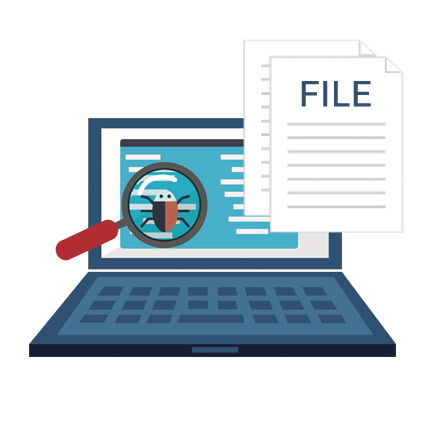 The module is able to detect every single change of files in the backend such as adding, editing and deleting. Once these changes are found, they are also recorded and saved in the admin log. Moreover, a report email will be sent to admins shortly. 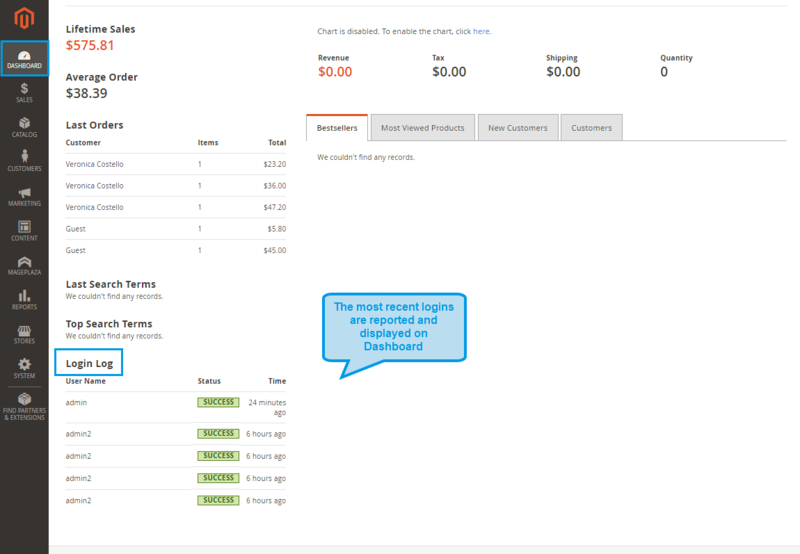 It may seem unusual when your store's admin panel is logged into during your time/days off. Besides, break-ins often occur when your store is not looked after by you and admins. To eliminate the risks, unnecessary login attempts should be stopped. 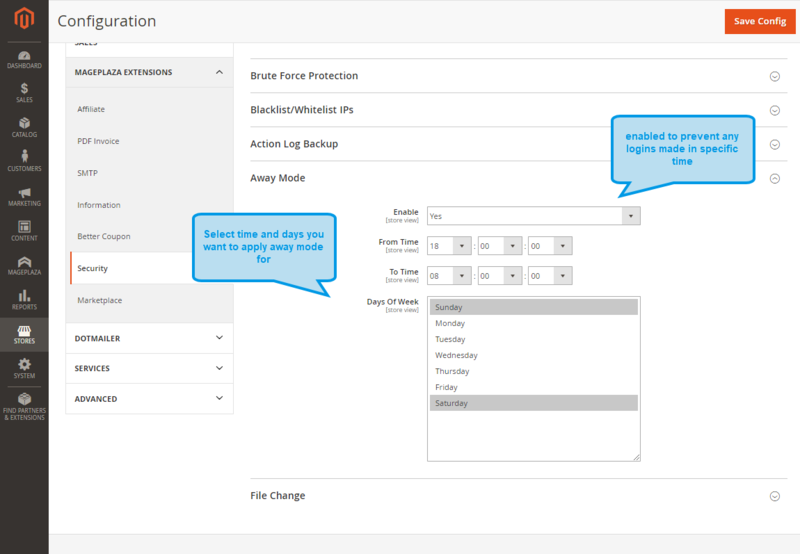 Hence, the away mode can be enabled to prevent any logins made in specific time. You will have peace of mind and have a good night. 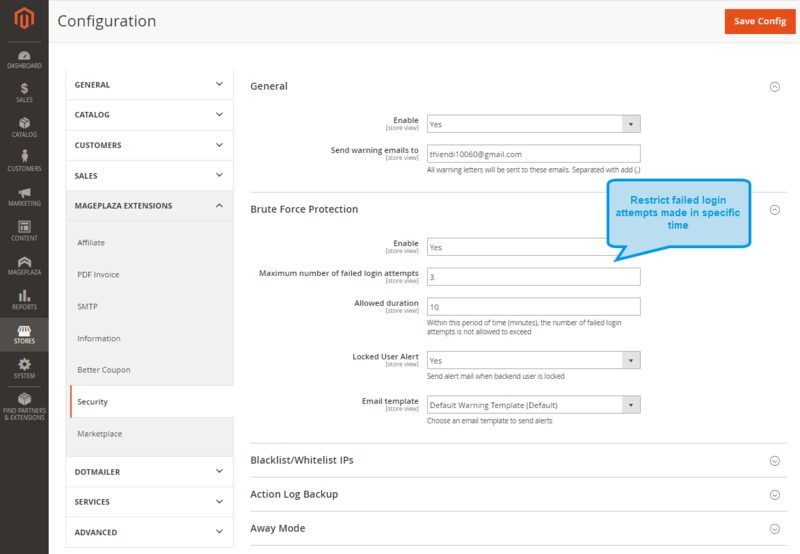 Block or allow a range of IP addresses in backend. It is easy to setup in backend. 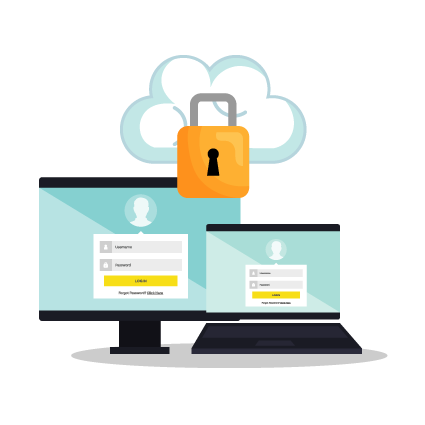 A short report of the 5 most recent logins is featured on the Dashboard with the information of user names, login status and time. Q. When I receive login failed alert? If the maximum number of times logins are failed is reached, a warning email will be sent to email addresses which are set. Q. Can I custom my own warning email templates? Q. What happens if I get locked? In this case, any login attempts from your IP address will be blocked. 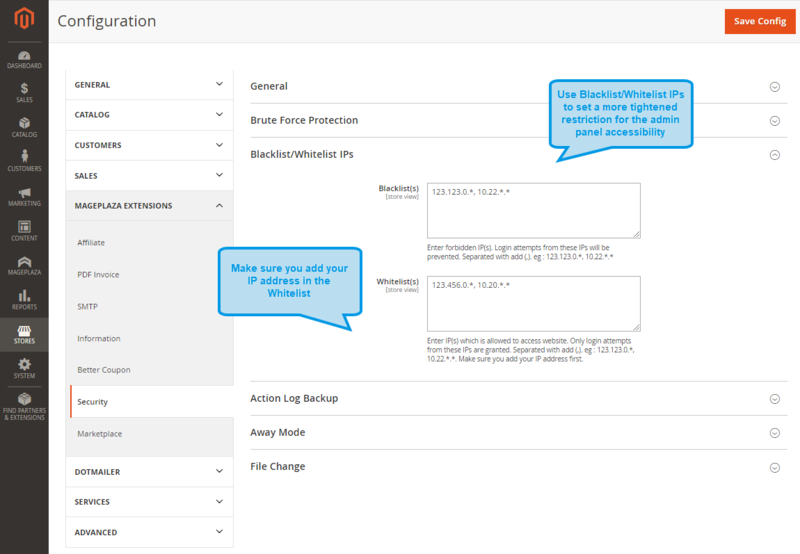 If you assume that this is a mistake, please follow this guide to unblock. Q. 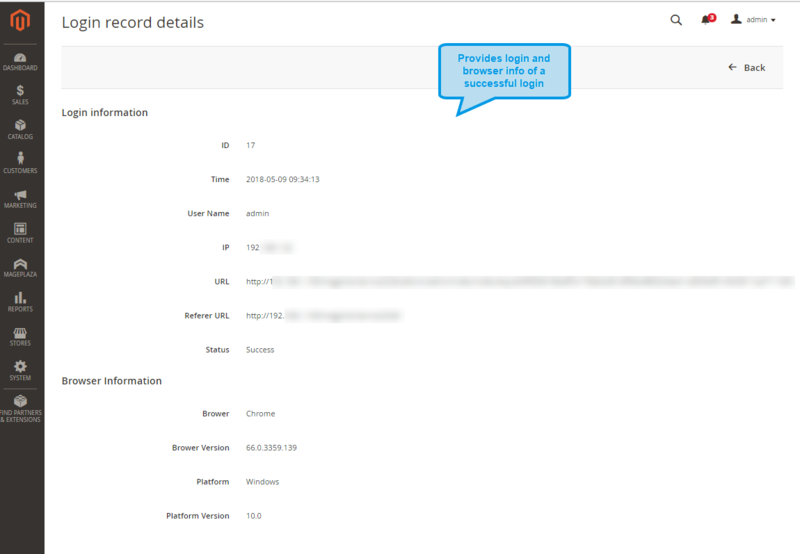 Will a successful login be recorded in the log? Yes! It logs both Failure and Success status..
Q. Is it truely free? It’s free of charge. We built this module with basic yet highlight features to help create a healthy and safe Magento community. If you are interested in Pro feature, you can purchase Pro edition. Mageplaza Security is compatible out-of-the-box with Magento Open (Community), Magento Commerce (Enterprise) 2.1.x, 2.2.x, 2.3.x. I purchased the Pro version and definitely more advanced. If you have a Magento store, I think you have to buy this extension. Security is more important than anything. Thank you Mageplaza!! We installed this extension after a brute force attack. The installation was easy and done in a few minutes. I was not sure about the correct configuration so that I had to contact the support team to finish the configuration. I have installed it but forgot to install the library, the support team was very kind to reinstall the library and set it up. It works great, looking forward to get the Pro version. Installed this extension and out of blue my Magento store is secured. Nice features, great usability, and nice coding. No bugs, all works perfectly. Highly recommended Magento 2 extension. Keep up good work! 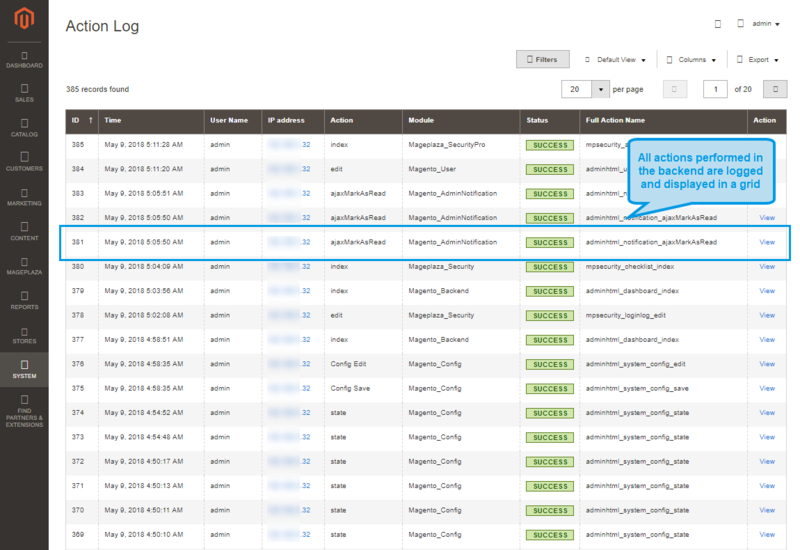 This extension is very useful to track your Magento store's Admin user activities. I'm using it for some time and I found no issues with it and it works perfectly. Anyone should try this extension on their Magento store so that they can have the best logging tool in their store. This is one important and indispensable Security module. We were looking for a Security module and found this useful one from a reliable source. And guess what! It is a free module. That's awesome! This is a good idea to offer it with the free edition. So once you try it, you will feel that it's good enough to have the paid one. Again, I would like to mention how great the support team is. They are super friendly and willing to assist as well. I'm looking for my next step to buy the paid version. 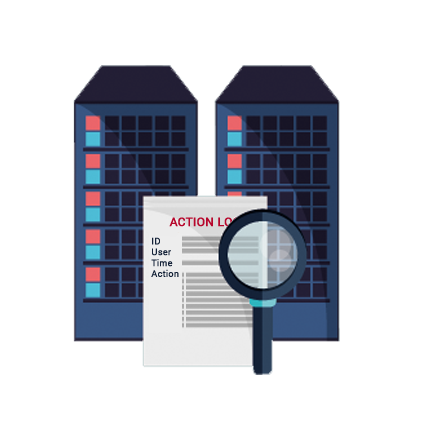 I needed to view the log action in my admin website, so I tried to use this product, what it offers is not bad so you can see some logs actions. The installation was so easy and because there are many colleagues who have an account, I can see exactly what is going on. This is a must-have extension. Also, the support is also very good. 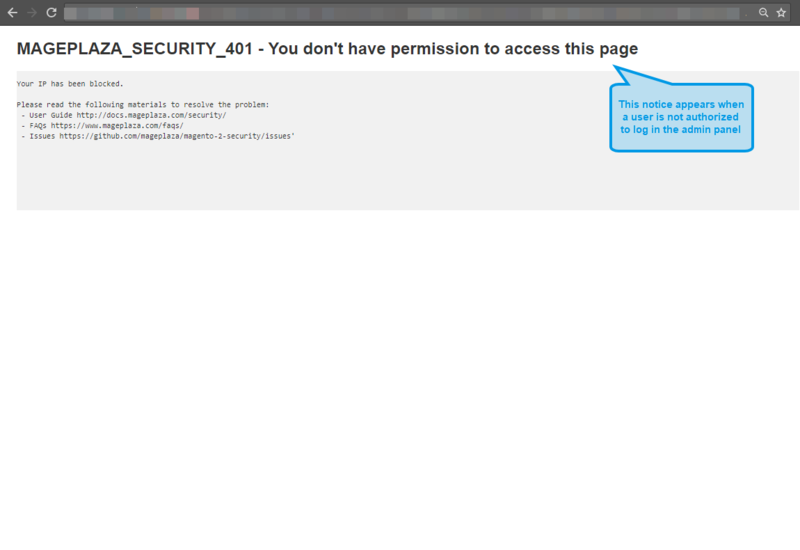 I see no issues with Security extension. It seems to be running as it should. Now I am happy with my purchase. I have tested the features, and they are working well. I recommend this to anyone who wants little extra security. 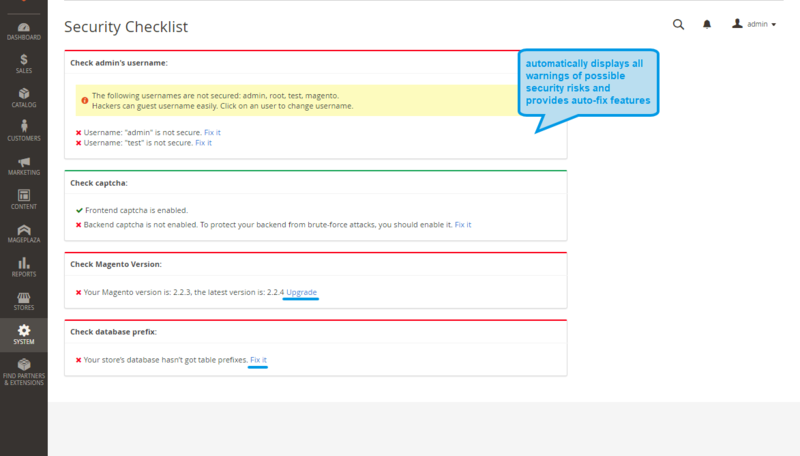 The Standard (free) edition is a great way to get a security check that will advise you of ways to secure your store (I've implemented these changes), as well as getting a list of last logins to your admin panel. 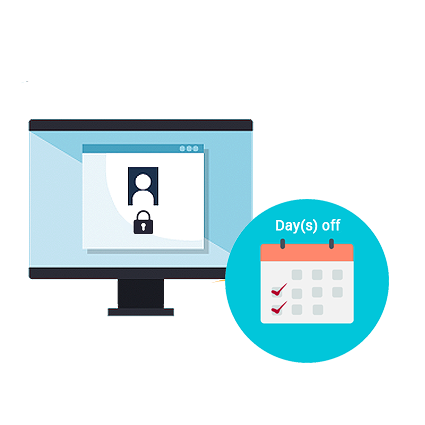 This can help reassure you that others are not accessing your store, and you can check the date of your last login to make sure that was you. The usefulness of this extension, and by making it free, means I will be considering the Professional edition. 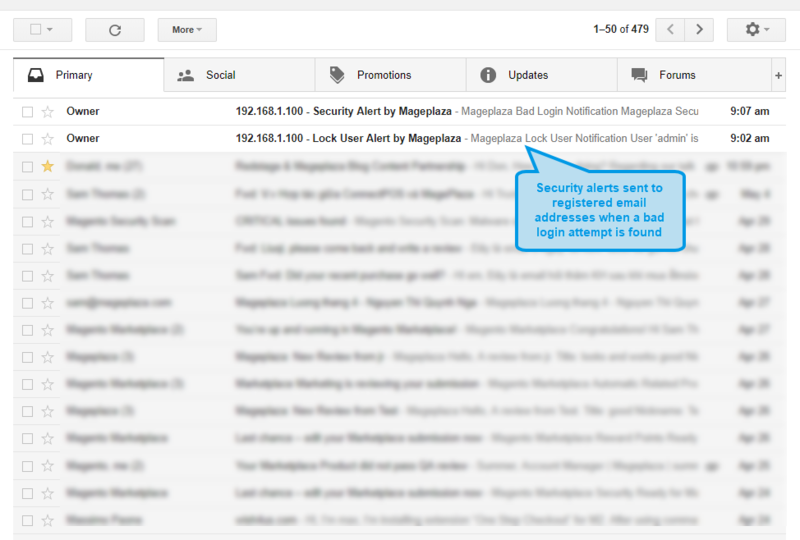 I’ve got to say that it’s too good to have a free extension like Mageplaza Security. It works well on my store and helps prevent bad break-in attempts so effectively. No complaints for this. I like the way Mageplaza support team works. Quick and effective! This extension is also awesome with adequate features for my online store. 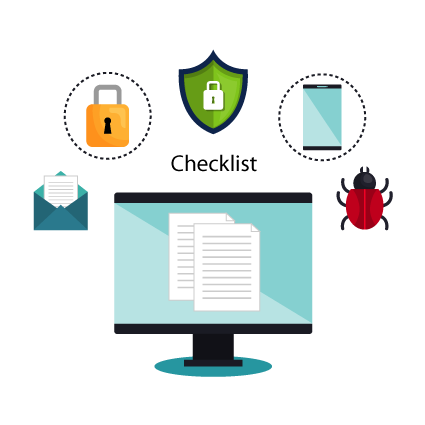 Mageplaza Security includes two packages: Standard and Professional. Let's take a glance at the comparison table.